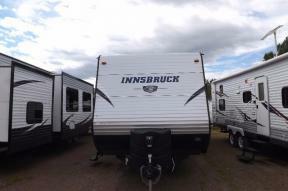 $120.00 Bi Weekly Tax Inc.
Sackville RV has been committed to providing the best value and service in the industry since 1994. Sackville RV offers a variety of brand name products to meet your family’s RV needs such as, fifth wheels, travel trailers, park models, hybrids, ultra lites, camper trailers, motor homes and more. 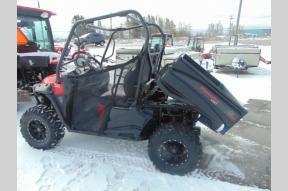 Some of the brands we carry include: Forest River’s Cardinal, Sandpiper, Wildcat & Rockwood; Thor Motor Coach; Keystone RV Company’s Hideout; Dutchmen’s Aspen Trail & Kodiak, and we also carry Mahindra tractors and utility vehicles. Located in Sackville, New Brunswick at Exit 506 east of Moncton and near the Nova Scotia Border makes Sackville RV an easy short drive from the Confederation Bridge, Moncton or Amherst. 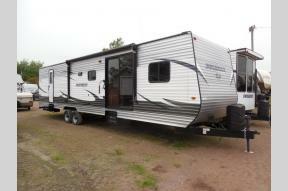 We, at Sackville RV, strive to meet and exceed your expectations with our Sales and Service team. 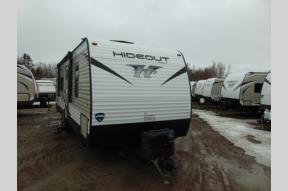 Come visit us today or check-out our website for the wide range of RV products offered.